Information you provide on applications, forms, and other information that you provide to us, whether in writing, in person, by telephone, electronically or by any other means. This information may include your name, address, employment, income, assets, credit, and other household information. Information about your transactions with us, our affiliates, and others. This information may include account balances, payment history, and account usage. Information collected with your authorization, from consumer credit reports, such as credit relationships and history. Information available from external sources, such as publicly available records. We also may gather information through on-line forms, site visit data, and on-line information collecting devices such as "cookies" and other tracking technologies. We may obtain Collected Information about you from investigative consumer reports prepared by third parties. If we do, (1) you will receive a separate disclosure informing you of your rights under the Fair Credit Reporting Act, and (2) you have the right to request that you be interviewed in connection with preparing the report. You are also entitled to receive a copy of the completed report by writing to the Agency at the address below. The Agency may share Information with others without your permission in certain circumstances permitted or required by law. For example, the Agency may share Collected Information in the ordinary course of business with credit bureaus, with service providers, or with others who are directly involved in assisting us with your transaction. Except as permitted or required by law, the Agency does not disclose Collected Information about our customers or former customers to third parties outside the Standard Companies. By writing to the Agency at the address below, you may request more detailed information about the Collected Information that the Agency obtains, how we obtain it, and the disclosures of Collected Information that we may make to others. We may share Collected Information about you within the Standard Companies. These companies include Standard Oil of Connecticut and Standard Security Systems. You may ask us not to share Collected Information, including information that we receive in your application or in your report from credit bureaus, with our affiliates. If you don’t want such information shared, you may write to us at the address below. Please provide your name, address, and Policy number(s). Your request not to share Collected Information does not include information that we are otherwise permitted by law to share. From time to time, we also may share Collected Information with our affiliates so that they may market products and services that we think may interest you. Our affiliates who receive this information will keep it confidential. If you do not want to participate in these opportunities, please write to us at the address below, and let us know that you do not want any of your Collected Information shared with the Standard Companies for marketing purposes. You have the right to see, or obtain by mail, your Collected Information in our records. Your right includes the right to know the source of the Collected Information and the identity of the persons, institutions or types of institutions to whom we have disclosed such information within two years before your request. We will provide you a copy of or arrange for you to make a copy of your Collected Information within 30 days of receipt of your written request. After reviewing your Collected Information, you have the right to request that we correct, add to or delete Collected Information if you believe it is incomplete or inaccurate. We will respond in writing to any such request within 30 days of receipt of your written request for correction, providing you with the correction or an explanation of why we cannot comply with your request. If your account has more than one name on it, we will send only one notice to the address we have on file for you. Upon your request, we will provide each person named on the account a separate Privacy Notice. Access to Collected Information is limited to personnel who need the information to perform their job responsibilities. We maintain appropriate physical, electronic and procedural safeguards to protect Collected Information. Get the protection you need at a price you can afford. 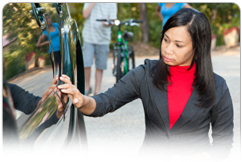 Call or request a quote for Auto Insurance from Standard Insurance Agency today. like to speed up the process you can fill in the optional information below. Copyright 2018 Standard Insurance Agency CT Lic. 2246699 A Division Of Standard Oil of Connecticut, Inc. Which Ones Do You Believe? Myth #1: The insurance companies that advertise that they “cut out the middle man” have the lowest insurance rates. Fact: The insurance companies who “cut out the middle man”, spend huge amounts of money on advertising. And guess what, they still have to pay their sales force and customer service staff. By shopping the market for you, we almost always beat the pricing offered by the insurance companies who “cut out the middle man”. Myth #2: Home and auto insurance prices are pretty much all the same. Fact: While there may have been some truth to this in the past, it is not true at all today. In the old days, most insurance companies based homeowners pricing on the value of your home, the town it was located in, and some basic characteristics of the house. On auto they looked at the type of cars, the age of the driver and motor vehicle records. Today, most insurance companies base their pricing on computerized models that look at a great number of variables. They now understand that the people who live in the house and drive the cars are as important as or more important than the house or the cars themselves when it comes to predicating losses and rating policies. Since these models have different assumptions, they can create very large price differentials between companies. Sometimes as much as 50% or more! The only way to find whether you are overpaying for your insurance is to have an insurance professional shop the market to compare rates for you. Myth #3: My insurance company has unique features that other companies do not have. Fact: Insurance is a very regulated business. Almost all policies must be approved by the Connecticut Insurance Department. The overwhelming majority of companies use standard forms developed by ISO. For example, most homeowners policies are written using a HO3 form. However, companies then offer coverage options and upgrades that require careful review with an insurance professional. Your company is almost certainly not unique in being able to offer specific or additional coverage. Myth #4: My insurance company is uniquely good. I had a $5000 claim 5 years ago and they paid it – no questions asked. Fact: There are many good insurance companies out there. Almost any top-rated carrier has excellent claims processing. However, many people are surprised when their insurance company actually pays a claim. But if you think how much you have paid into an insurance company (let’s say $3, 000 a year for 10 years), you should not be so surprised that they happily paid you $5,000 to cover a claim. Myth #5: My insurance company is great. I had a claim, and they didn’t cancel me! Fact: Any good insurance company has a lot of flexibility when dealing with claims. The type and number of losses you have experienced is only part of what they look at. Remember most people experience a loss of some type over their life a good company knows that. Myth #6: I’m sure I am getting a good rate on my insurance. It was the best I could find a few years ago and it hasn’t changed much since then. Fact: The only way to be sure you aren’t paying more than you should be is to have an insurance professional discuss your insurance needs, analyze your existing policies, and shop the market for the best value available to you. You should go through this process at least once every 2 or 3 years. Rating variable change and companies adjust rates all the time. Myth #7: Changing insurance companies is a difficult and time consuming process. Fact: If you work with a knowledgeable insurance professional the process is actually very easy. It only takes a few minutes to gather the data needed to shop your insurance for you. If you like the price and company we find for you it’s as easy as reviewing and signing the applications. If you find that you believe (or believed!) any of the above myths, you should call the insurance professionals at Standard Insurance Agency at (866) 400-3567. Construction/Replacement costs have changed and you’re not sure if you have adequate coverage. You think the market value of your home and your policy limit should be the same. Your liability limit is too low. You don't know if your policy includes personal injury coverage or you don't know what personal injury coverage provides. You have not shopped your policy in a few years. You think the "best" rates are only available online for do it yourself shoppers. Your policy does not include some form of additional replacement cost coverage. You are not receiving all the discounts you deserve. You think all homeowners policies are the same. On the road, use the SEE strategy, SEARCH around you for potential hazards, EVALUATE any possible hazards, and EXECUTE the proper action to avoid the hazard. Wear a helmet, it can save your life. To enjoy riding for many years to come you cannot become complacent about your level of riding skill no matter how experienced you are so sign up for an advanced rider course.